The library of the Institute of Hydrodynamics is a part of the Czech Academy of Sciences. It falls into the Research Area of “Mathematics, Physics and Earth Sciences”, where it belongs to the second section called “Applied Physics”. The library is registered at Ministry of Culture of the Czech Republic under the number 1798/2002 as a specialized library that provides services to the public. 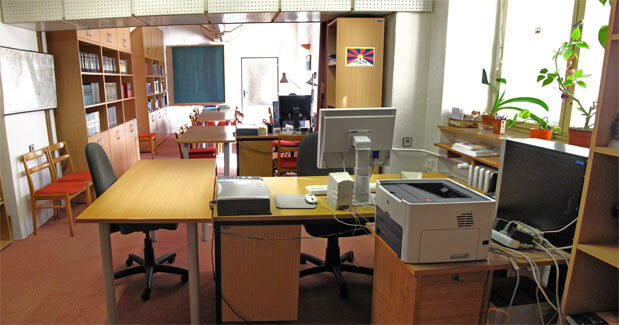 The library provides services primarily to IH employees but also to the wider public for free. We provide circulation services, interlibrary loans, information, information retrieval and reprographic services. We will help you with finding the documents you need in other libraries and arrange for an interlibrary loan; we can also ready scientific articles for you and search for scientific literature on topics of your interest. The library also keeps records of publications authored by IH researchers. The bus stop nearest to the library is “Hydrologický ústav”. The bus stop is on request. From metro station “Dejvická” (line A), bus lines 107, 116, 147, 160, 340, 350, 355, and 359 go to the bus top “Hydrologický ústav”. After arriving to “Hydrologický ústav”, you will need to cross the main street, go under the railway bridge, and then up the stairs that you can see on your right.